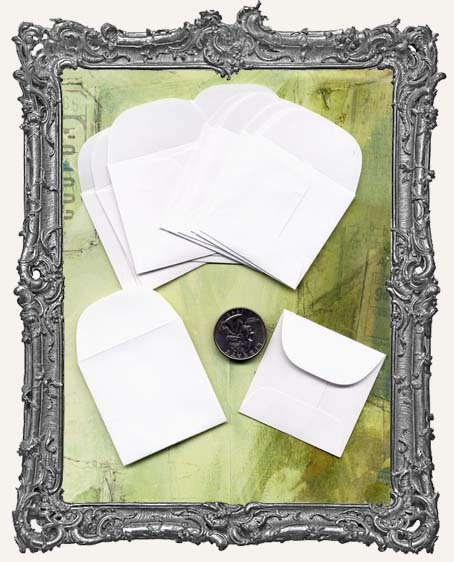 * Adorable 2" x 2" white envelopes. PACK OF 15. * These do not have adhesive, but you could secure with a tiny bit of glue if needed. * These also make great envelope book pages!